Note: idString is the guid of the record I am clicking the button from. 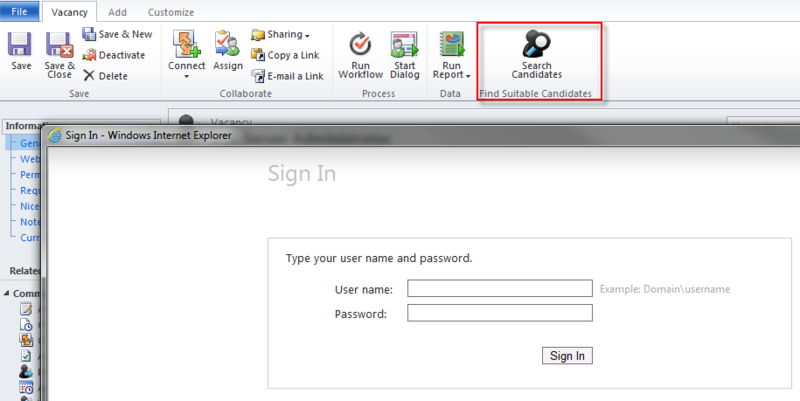 Now, when clicking on my ribbon button, the web resource is displayed as expected, without the login prompt. I can finally do everything from Outlook without needing to open an Internet Explorer session in the background!